Roma Victrix. The Republic of Rome is on a relentless march to create an empire--an empire built on the backs of the conquered, brought back to Rome as slaves. Attia was once destined to rule as the queen and swordmaiden of Thrace, the greatest warrior kingdom the world had seen since Sparta. Now she is a slave, given to Xanthus, the Champion of Rome, as a sign of his master's favor. Enslaved as a child, Xanthus is the preeminent gladiator of his generation. The story continues in Fire and Ash, coming soon from Tor Teen. C. V. WYK graduated from Vanderbilt University with a BA in English Literature and European History. 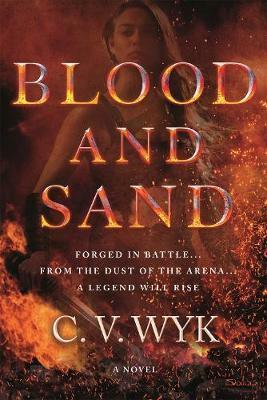 Blood and Sand is her first novel. Born in Los Angeles, California, she now lives in Maryland. Look for her online on Twitter and Tumblr.